Pay per click is a valuable form of marketing where business pay to Google whenever their ads gets clicked on Google search, display, YouTube, other potential apps and websites. Totally based on auctioning model. 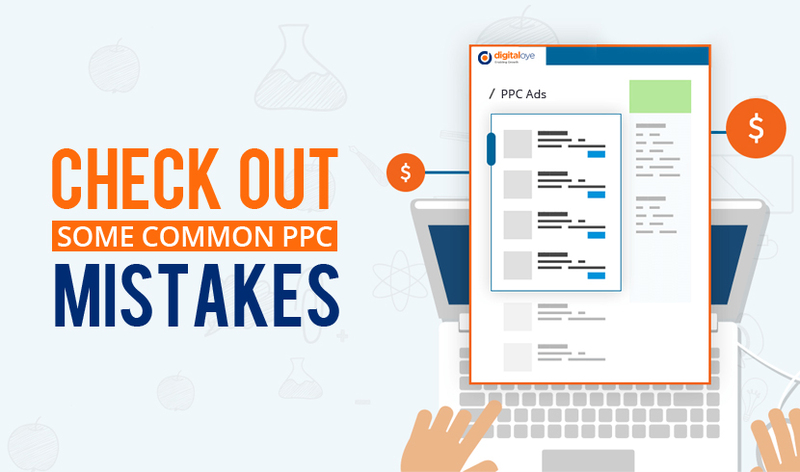 PPC campaigns play an important role in driving the traffic on the websites and converting your visitors by the use of potential keywords, interests, behavioral targeting and placements on other websites. It's good for those who get a very little traffic from organic search. Though PPC campaigns play an important role in driving valuable lead generation for your business thereby achieving the desired ROI for business. You need to make sure that your campaigns are profitable and achieve your business goals but on the other side there are some big PPC disasters which people often keep on repeating regularly there by ending up burning a lot of cash and resulting in decreased ROI. Leaving the campaigns more messed up and disorganized. Which even results in driving irrelevant leads. So these are some common mistakes that people often commit while creating PPC campaigns. Use of Broad Match Keywords: while using too much broad match keywords brings irrelevant traffic on the website. For example if you are using the keyword named digital marketing the ad will appear like digital India and digital Australia there by bring a lot of irrelevant traffic on your website. Which will get the users bounce out from the page. Try to test different keywords match types such as exact match, broad match modifiers, and phrase match along with negative keywords section to stop the irrelevant keywords. Not Setting Up The Conversion Tracking: this is the silliest mistake that people do while setting up the PPC campaign because if you don't set up the conversion tracking you don't even get the idea of how many people are converting and signing up the query form on your website. Leading to the pure wastage of efforts and money as you will not be able to track anything or will not be able to attribute the results to the concerned efforts or marketing channel. So no ad extensions means low ad positions and CTR which ends up escalating your bid prices. Not having Multiple Ad Copies In an Ad Group: this is also a big mistake while setting up the search campaigns people only keep 1-2 ad copies in an ad group. This makes it insufficient for the campaign to perform in a better way. Try to test at least 3-4 ad copies in an ad group to test out which creative performs better. Try to keep the ad rotation option to “optimize: rotate indefinitely” to give chance to poor performing ad copies. Not Doing Negative Keyword Analysis: well this is an important part of campaign optimization if you have kept broad match and phrase match keywords there is still a good chance that you might get good amount of traffic from those keywords that your customers are not searching for which ultimately leads to spending unnecessary money and efforts so negative keywords insertion is a must for proper improvement of campaigns performance. Putting The Search & Display Ads In Same Campaign: this should be strictly avoided while creating the a Google ads campaign. People try to club search and display advertising in the same campaign which ultimately leads to higher costs. This is because search campaign have a higher CTR and display campaigns have a lower CTR which can screw your data while reaching to your potential customers there by impacting the performance of the campaign thereby increasing your CPC. Not Adjusting The Bid's For Mobile Devices: you are committing a big mistake if you are not bidding for mobile devices because as per the recent surveys there are more clicks and impressions on mobile devices rather than on desktop because people are switching more to mobile devices. So by pushing the bid adjustments for mobile devices you get hold on mobile devices there by improving your campaign conversion rate. 5) Optimized for ads in respect to the content, keywords and other info. To boost your conversions. If your landing page is missing all these things then it's high time to optimize your landing page. PPC Advertising is a big trend which is followed by the people on a regular basis if you have a correct strategy and plan for the PPC campaigns they'll definitely help in you in boosting your conversion rate and even achieve your desired ROI too. Though setting up an effective PPC requires a lot of time but if the campaign is optimized regularly with the correct techniques it will definitely maximize your traffic and can achieve your big sales results too at a lower CPC.